Strictly speaking parkin, a North Country ginger cake, contains oatmeal and this doesn’t, but I couldn’t resist the alliteration. 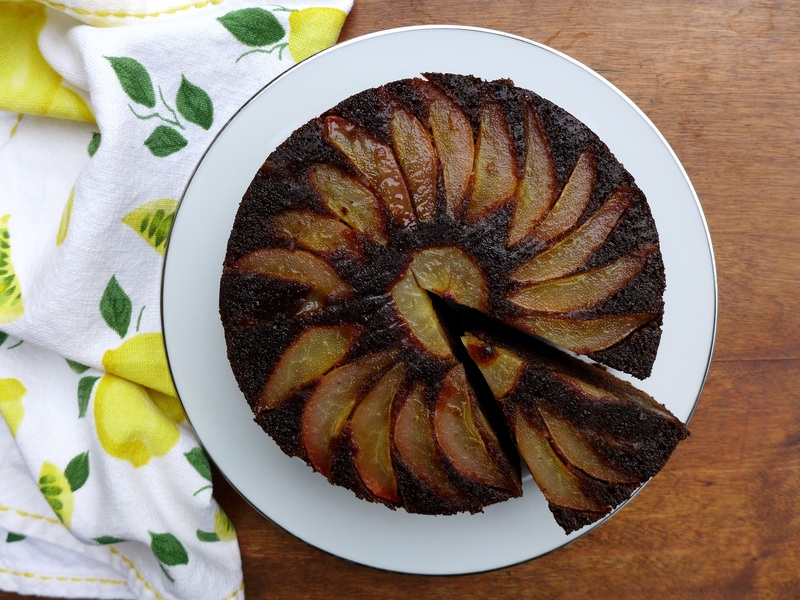 It departs from tradition too in being topped, or rather bottomed, with pears (it’s a sort of upside down cake). 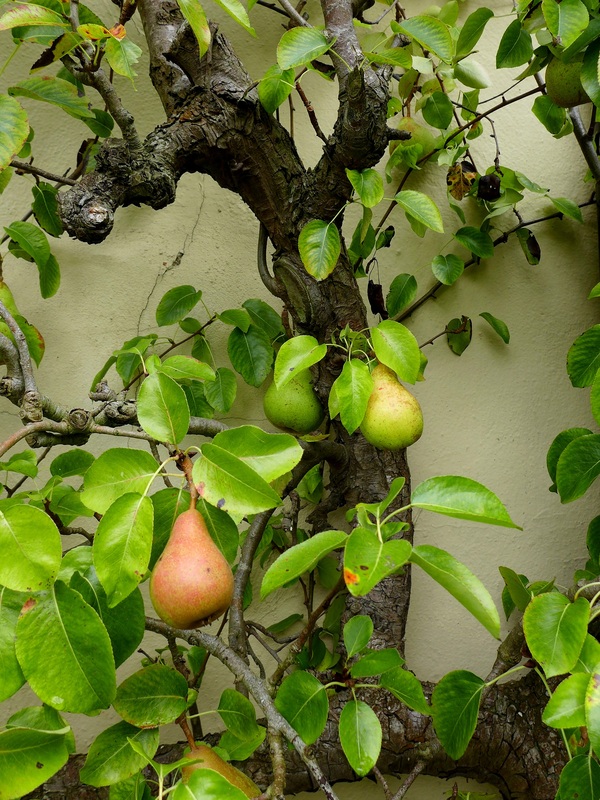 I’m putting pears in everything at the moment because the tree on the corner of the house has been laden this year, but they marry particularly well with ginger. This is nose-ticklingly gingery, as a good parkin should be, based on a recipe from the peerless Katie Stewart. Just as an aside, whoever thought of putting golden syrup in a squeezy bottle deserves a medal. If only they could do the same for black treacle … I bent a spoon just getting the lid off. Pre-heat the oven to 180C/350F/Gas Mark 4. Grease and line the base and sides of a 20cm cake tin. Sift the flour, bicarb, salt, ginger and cinnamon into a mixing bowl. Break the eggs into a second bowl with the milk and whisk lightly. Rinse the preserved ginger (makes it easier to cut), drain and chop. 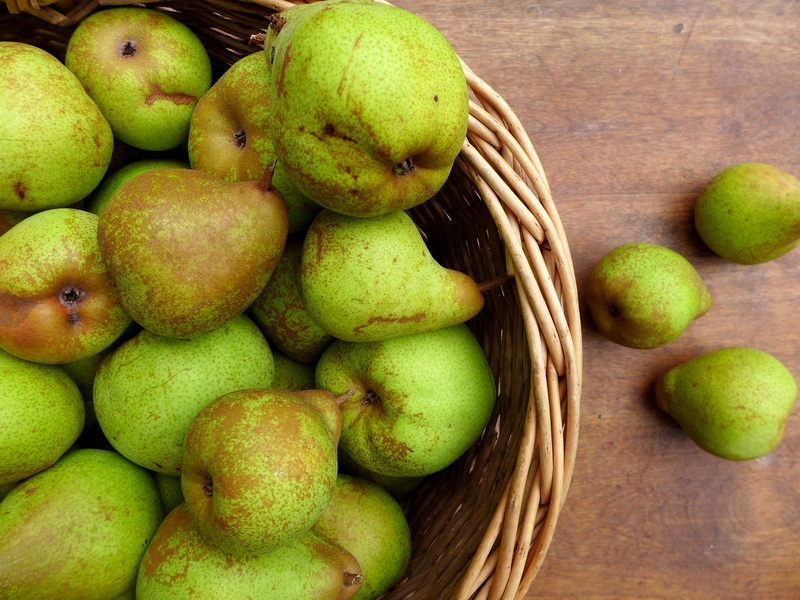 Peel, core and slice the pears and arrange on the bottom of the tin. Set aside. Put the sugar, butter, golden syrup and treacle in a saucepan and heat gently until the the butter has melted, then mix together well. Set aside to cool somewhat. Once you can comfortably hold your hand against the side of the pan, stir in the eggs until blended. Add the mixture to the sifted flour and beat with a wooden spoon until the batter is smooth. Stir in the chopped preserved ginger. Pour into the tin and give it a rap on the counter to settle the batter. Bake in the centre of the oven for 50-60 minutes or until well risen and firm to the touch. Cool in the tin for half an hour and then gently ease it out upside down onto a rack. 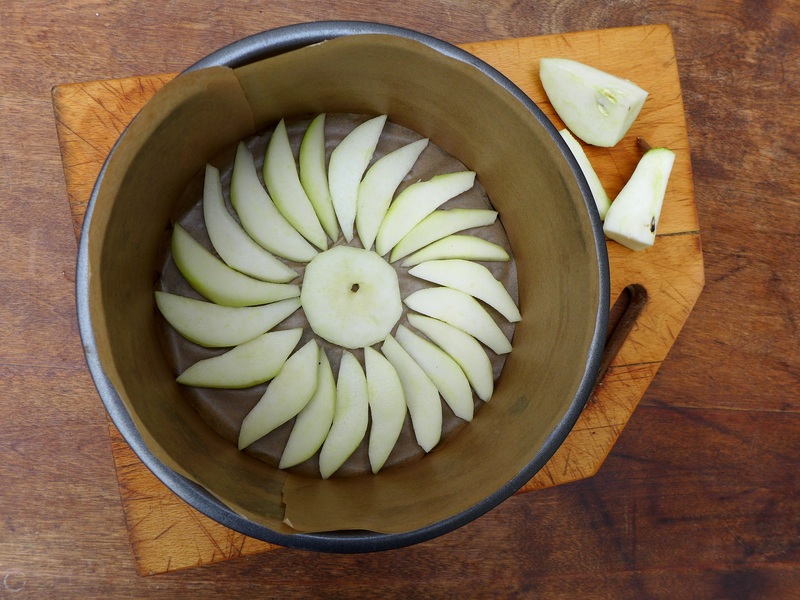 Remove the base and carefully peel off the baking paper. Once the cake has cooled completely, brush the top (formerly the bottom) with ginger or maple syrup. If the bottom (formerly the top) has domed in the oven, slice it off if that sort of thing bothers you. Cook’s perk. 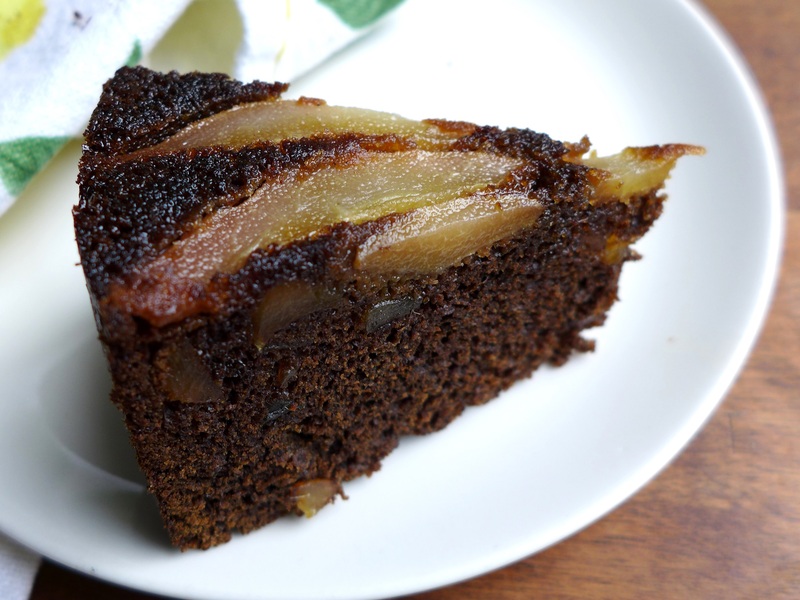 This entry was posted in Desserts, cakes and biscuits, Fruit and tagged parkin and pears, pear and ginger cake by Linda Duffin. Bookmark the permalink. looks fabulous. I might try it with apple because I have a lot of apples from our trees and no pear tree. I’m not familiar with golden syrup. I’m thinking molasses might be a close substitute for treacle?